Discover the range of innovative textiles and light therapy treatments from Iluminage here at Mankind. Founded in 2011, Iluminage are a luxury brand offering a range of innovative, high-tech ground breaking devices. From textiles to light therapy electronics, the brand’s unique interactive skincare solutions allow you to achieve salon quality performance at home. Each cutting edge product released by the brand has been clinically proven to perform effectively for ultimate results. 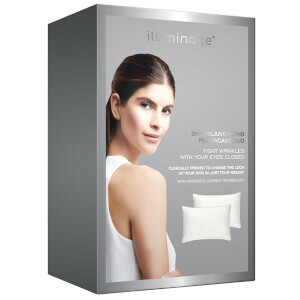 The Iluminage Skin Rejuvenating Pillowcase is an overnight solution to maintain youthful looking skin. The pillowcase fibres are infused with 100% Cupron® Copper Oxide Polyester which have been clinically proven to visibly reduce signs of ageing including ageing, fine lines and crow’s feet in as little as four weeks. Whilst in contact with the skin, copper ions are transferred between the fabric and the skin to fight wrinkles. This innovative pillowcase infused with essential minerals promotes natural cell renewal whilst remaining safe and non-irritating. 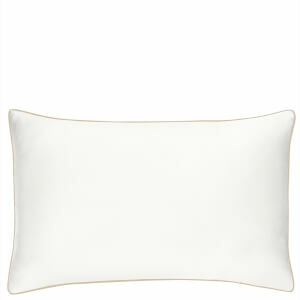 It has a silky soft feel for a comfortable night’s sleep. The Iluminage Touch Permanent Hair Remover is an innovative, clinically proven device which effectively removes hair permanently. As the only home treatment which works on all hair colours and skin colours, the FDA-cleared device combines IPL and Radio Frequency to effectively create smooth, hair free skin. Using ELOS technology, it’s safe to use on both the face and body, working quickly to remove hair painlessly. Featuring a low, medium and high intensity setting, it can treat the whole body in 30 minutes. 94% of hair is reduced in just 6 weeks with one treatment per week.